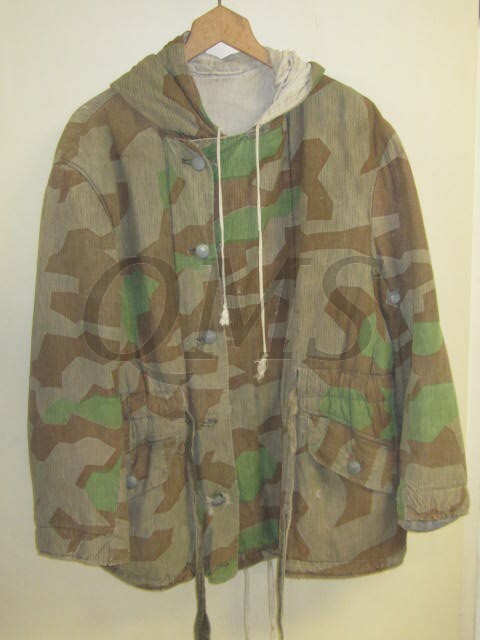 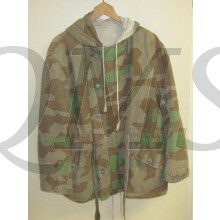 The parka is still showing nice bright colours has no visable size or manufacturer’s markings. 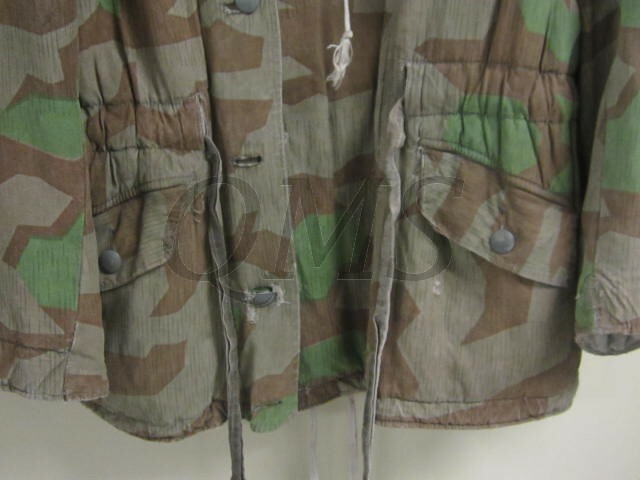 It is complete with all but 1 button. 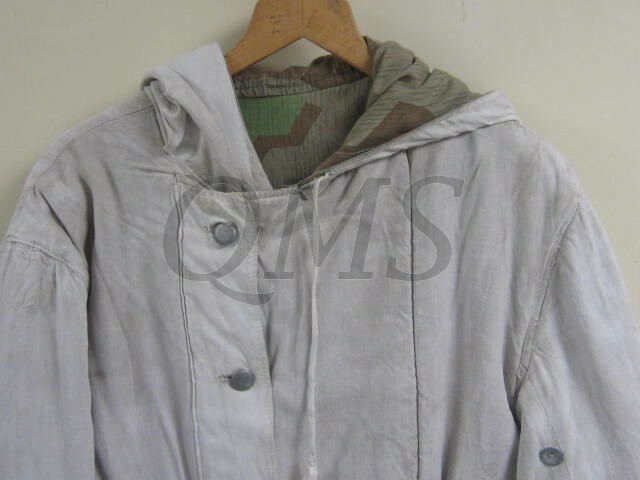 The parkas were designed large enough to fit over the standard service uniform and will fit a mannequin easily. 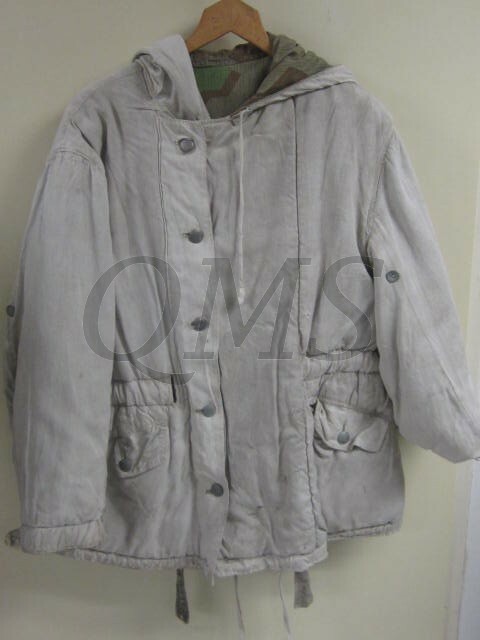 Nice worn example in good condition! 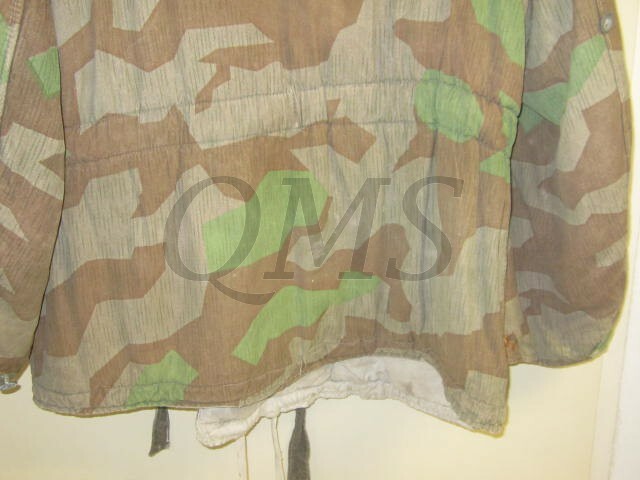 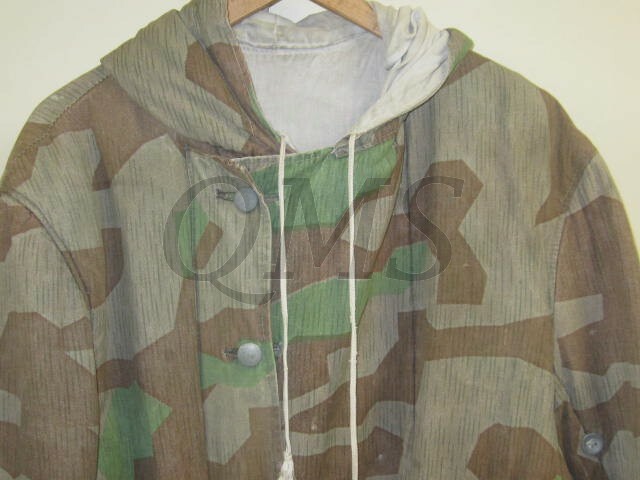 This camouflage pattern was designated 'Splittertarn' (splinter pattern). 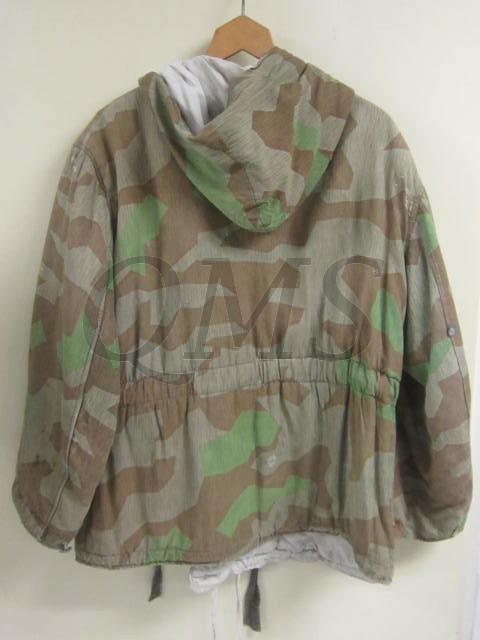 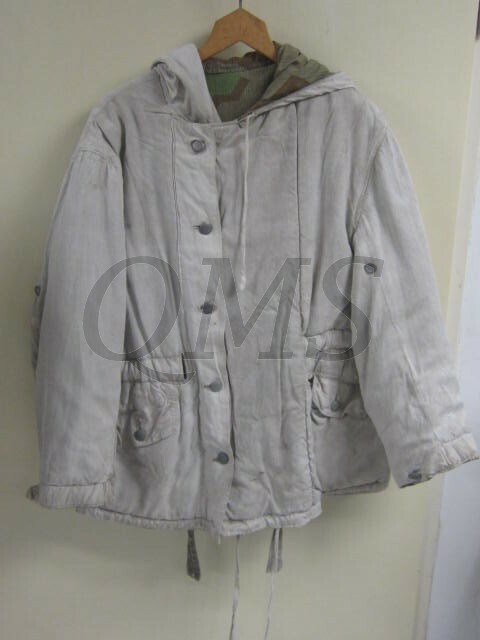 The winter parka's were a standard issue item and were distributed to all EM/NCO’s for the winter season, (15 September to 15 April), with other winter garments and were to be returned to the units clothing depot in April for storage, repair and cleaning to be reissued the following September. 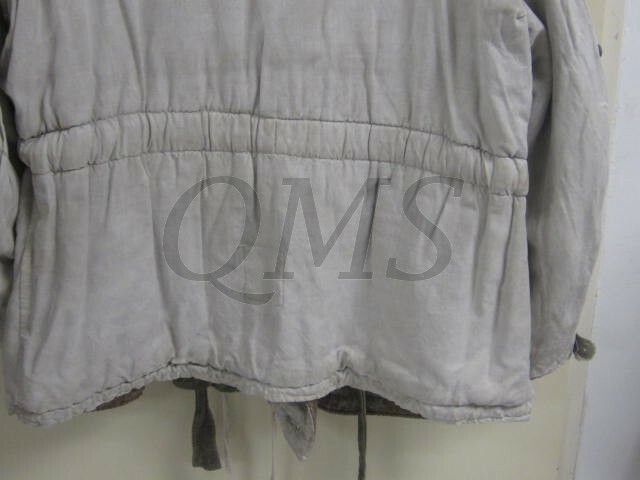 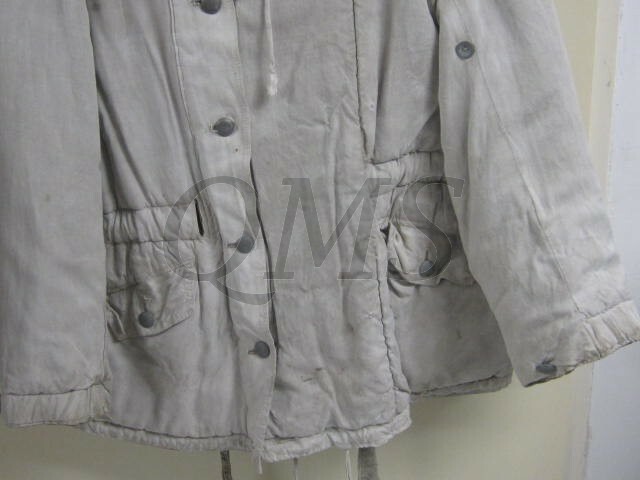 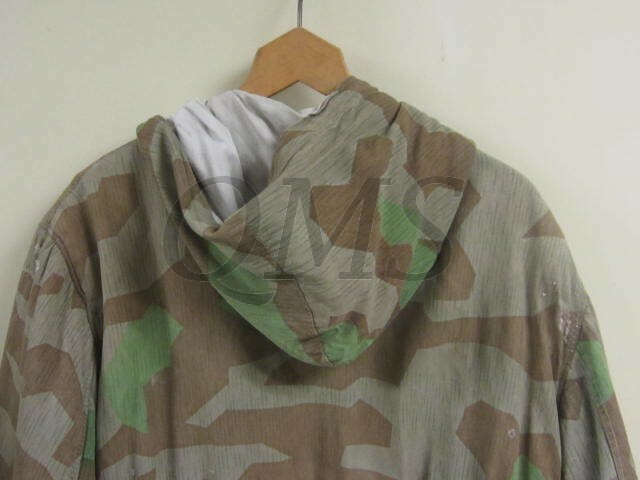 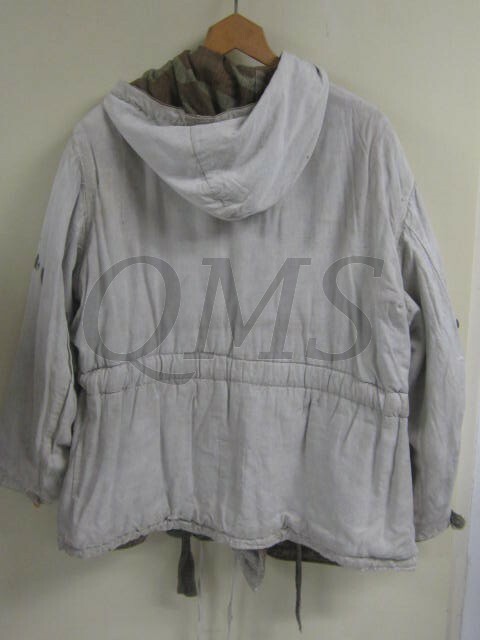 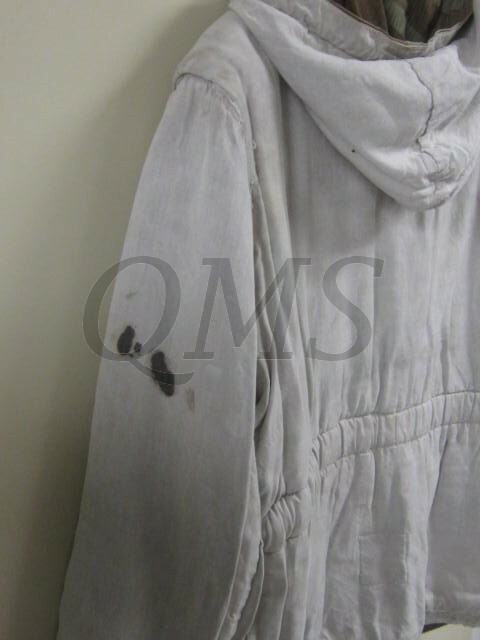 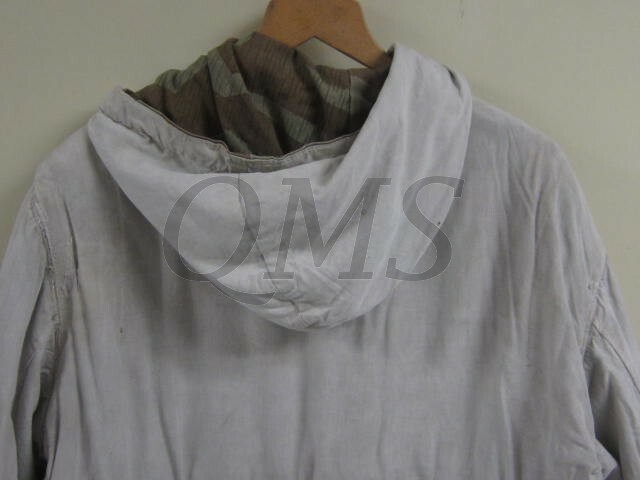 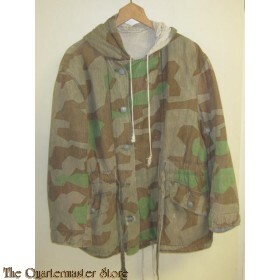 The parka has a few small damages and shows normal traces of usage, there are some original period repairs, see photos.